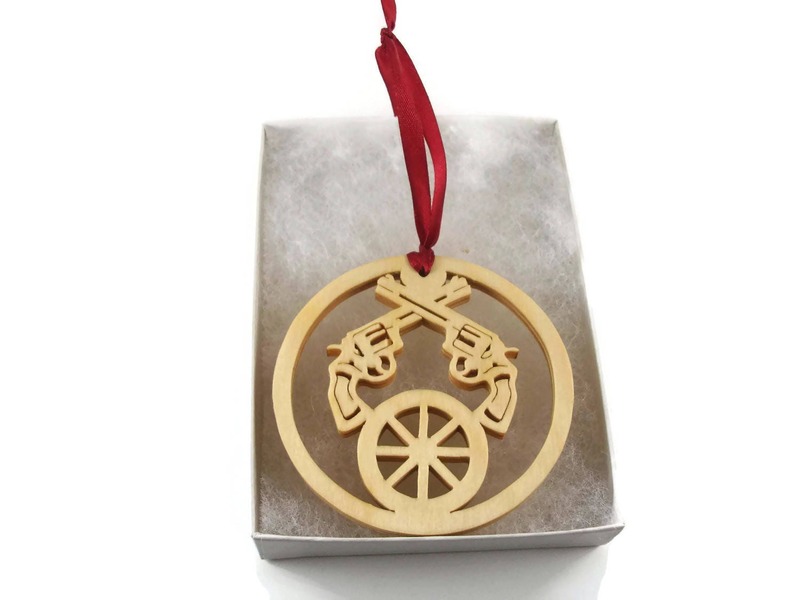 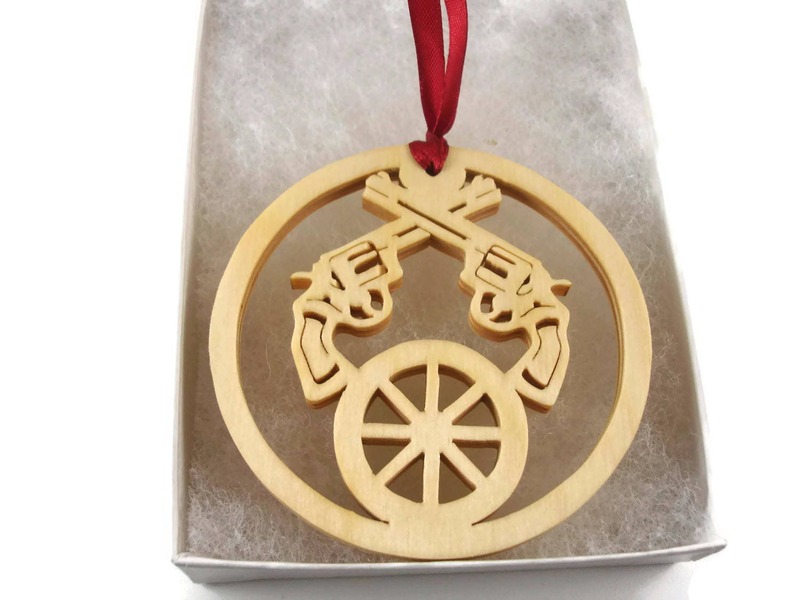 This western themed ornament was cut out by hand ( Handmade ) from Birch wood, and features a wagon wheel and two pistols. 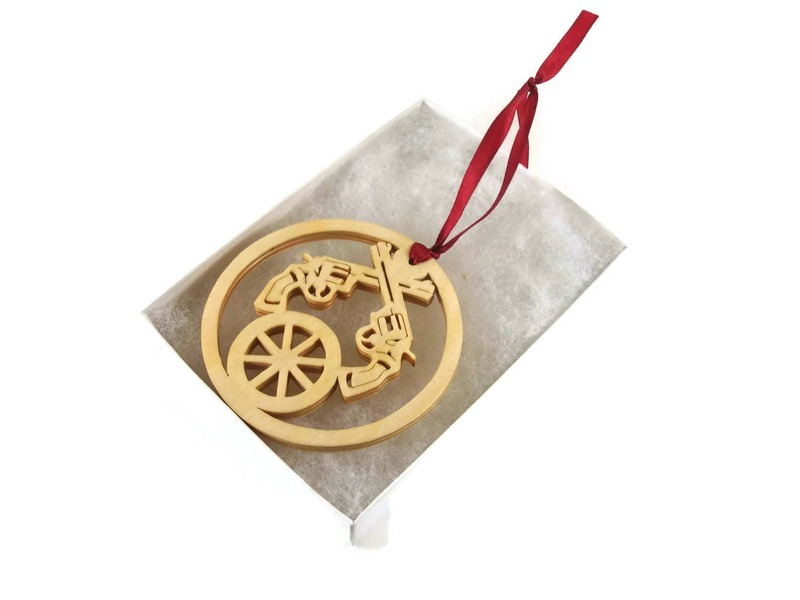 This was finished with a homemade non-toxic natural beeswax and mineral oil mixture which enhances the woods natural beauty. 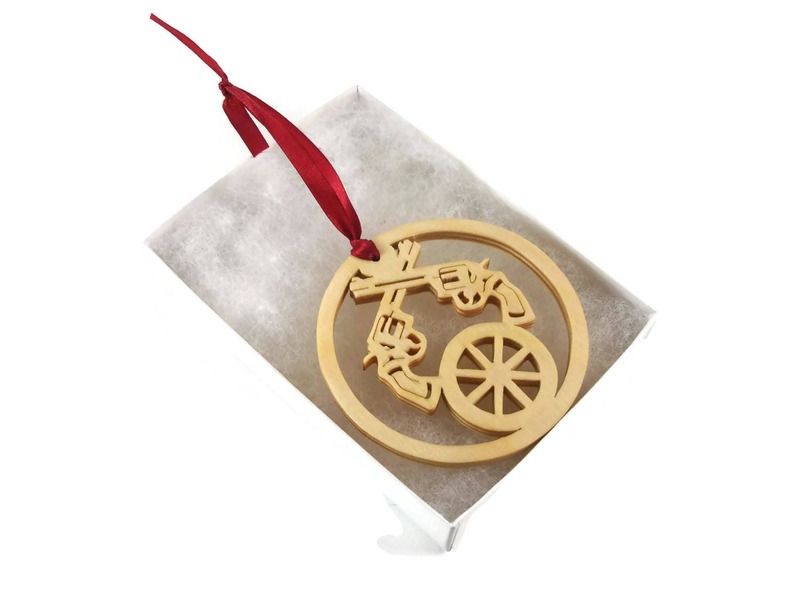 A various color fabric ribbon was attached for ease of displaying this on your Christmas tree.